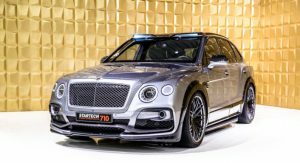 For most owners of the Bentley Bentayga, having the car’s 6.0-liter twin-turbo W12 engine develop 608PS (600hp) and 900Nm (664lb-ft) of torque will suffice. 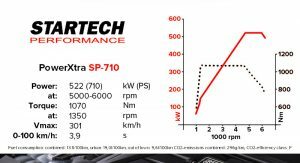 However, those that feel there’s room for improvement when it comes to performance, now have another power upgrade available, which costs as much as a new VW Golf: €18,900 ($23,391), tax included, in Germany. 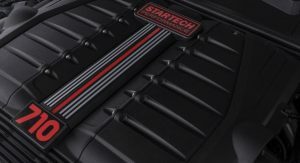 Created by Startech and offered in the form of two control modules, the plug-and-play parts are adapted to the engine electronics. 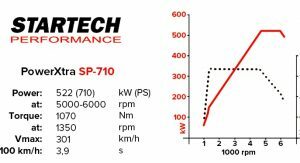 Once installed, the stock output jumps to 710PS (700hp) and 1,070Nm (789lb-ft) of torque. 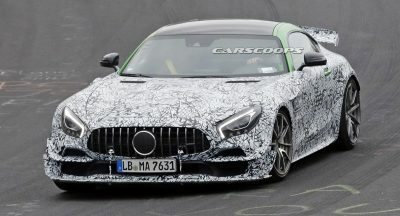 As a result, the 0 to 100km/h (62mph) acceleration time takes only 3.9sec, an 0.2sec improvement over the stock model, and top speed remains untouched at 301km/h (187mph). 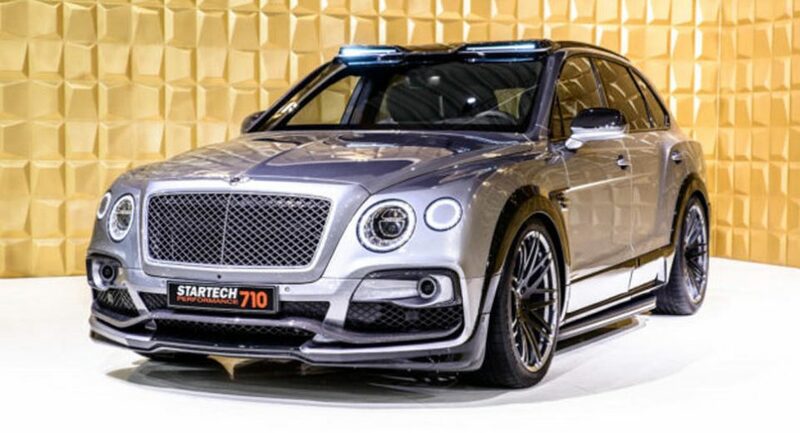 Alongside the plug-and-play modules, Startech also has other upgrades in store for the Bentley Bentayga. One of them is the lowering kit for both axles, which brings the entire body closer to the road by 20mm (0.8in), costing €940.10 ($1,163). 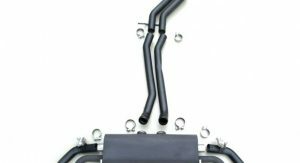 Finally, the aftermarket specialist can fit the British luxury SUV with a sports exhaust, compatible only with the W12 petrol engine, and priced at €6,961.50 ($8,615). 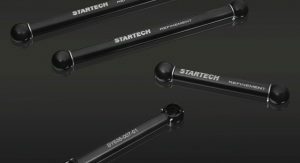 Startech’s latest aftermarket parts join the already availably widebody kit, LED taillights, modified door panels, and different wheel options, up to 23-inches. That said, given the ride height that makes stanced Civics jealous, does this still qualify as a SUV, or is this now just an ugly estate? If I must say so myself, it does look a lot like a smooth turd. Man, what a tacky lump of pinched loaf. 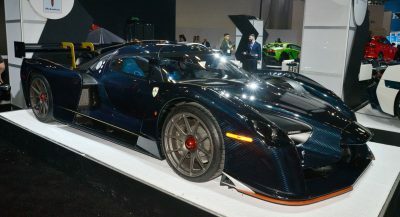 And its the reason these cars will loose their value very quickly and find homes in the garages of thugs and wannabes. Douse it with gasoline and strike a match. Oh, yes, bling it on! Wheelsandmore did it better. This is just ugly. How to make a not attractive car into an eye bleedingly ugly car. Oh man that’s appalling. Next PostNext Is The Tech-Savvy Velar The Coolest Range Rover Ever Built?